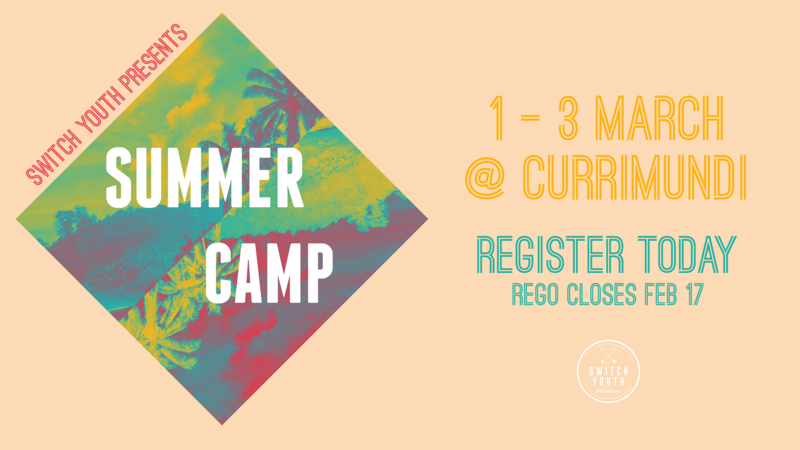 Join us as SWITCH Youth launches into 2019 with Summer Camp! If you have more than one (1) child (in same immediate family) attending Switch Summer Camp 2019 please utilise the discount codes below to achieve the discounted pricing structure. Unfortunately due to the government camp site regulations we will not be able to refund the ticket purchase price following February 17th as final numbers will have been advised by this date. REGISTRATIONS CLOSE FEBRUARY 17TH, 2019! DUE TO CAMP CAPACITY RESTRICTIONS WE HAVE HAD TO PLACE A LIMIT ON THE NUMBER OF TICKETS AVAILABLE FOR PURCHASE. We still recommend emailing our office on office@bridgeman.org.au if you still wish to purchase tickets as we will commence a wait list.